Inspired by science fiction, researchers have created a "heartbeat" effect in liquid metal, causing the metal to pulse rhythmically in a manner similar to a beating heart. The researchers from the University of Wollongong (UOW) in Australia produced the heartbeat by electrochemically stimulating a drop of liquid gallium, causing it to oscillate in a regular and predictable manner. Gallium (Ga) is a soft silvery metal with a low melting point, becoming liquid at temperatures greater than 29.7 degrees Celsius. The finding, published in the journal Physical Review Letters, has potential applications for fluid-based timers and actuators in artificial muscles, soft robotics and "lab-on-a-chip" microfluidic circuitry. 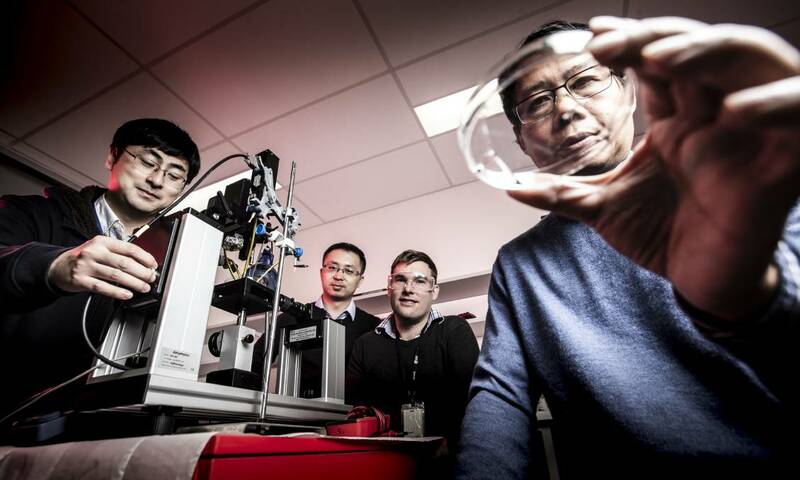 "By designing a special electrode and applying voltage to drops of liquid metal we were able to make the metal move like a beating heart," said Xiaolin Wang, a professor at the University of Wollongong. While similar heartbeat effects have been created previously in liquid mercury, this produces an erratic motion that is difficult to deactivate or control. Mercury has the added disadvantage of being highly toxic. Liquid gallium, by contrast, is non-toxic and produces a regular motion, making it potentially of far greater use, researchers said. Wang said the research in liquid metals was inspired in part by biological systems and in part by science fiction, including the shape-shifting, liquid metal "T-1000" robot in the James Cameron-directed film Terminator 2: Judgement Day. "To me, nothing is fiction - science fiction is a science fact that has not been discovered yet. When I see an effect in science fiction I think about how we can create that functionality in real life," he said. "I don't want to create a Terminator robot, don't worry, but the functionality of the liquid robot can be useful in the real world so I wanted to discover more functionalities in liquid metal," said Wang.